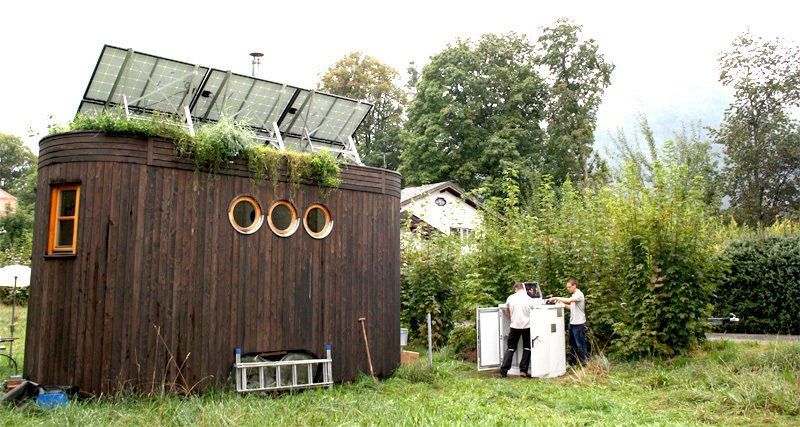 Ecoport 800 is the perfect addition to off-grid home systems. It compensates photovoltaic installations and batteries where they are weak – during low solar radiation and cold temperatures. Ecoport produces absolutely reliable heat and electricity all the year round. By combining heat and power operation, Ecoport reaches high efficiency and can protect batteries from depth discharge. Ecoport 800 is remotely controllable via a web-interface. Switching the system on or off is possible from anywhere in the world. Also the key indicators can be monitored via the Internet.